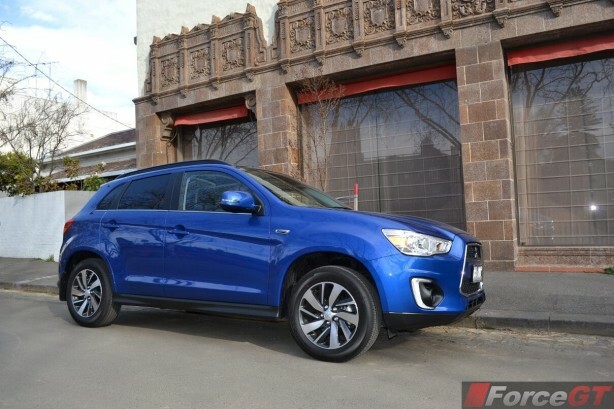 The Mitsubishi ASX has been revitalised for 2015, with claimed improvements to overall driver performance and NVH, along with new features and cosmetic updates. 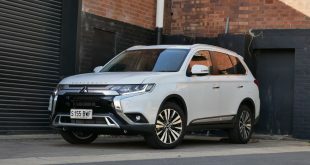 Designed to take on the likes of Nissan Qashqai, Volkswagen Tiguan and Holden Captiva, the ASX is an amalgamation of the larger Outlander and the Lancer, fitting neatly into the fast growing compact SUV sector. The ASX range has been simplified for 2015, offered in either a front-wheel-drive only petrol version or an all-wheel-drive diesel variant. 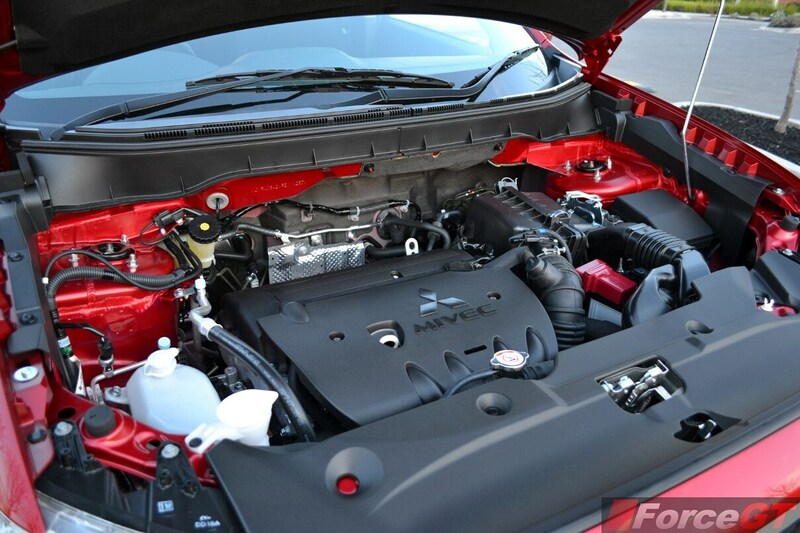 Both engines are available in the base LS or the upper-spec XLS trim. 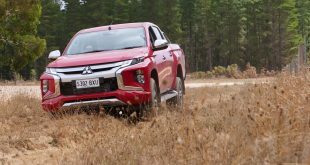 Prices range from $24,990 excluding on roads for the 2WD LS manual, $1,000 cheaper than the outgoing model, to $36,490 for the 4WD XLS. 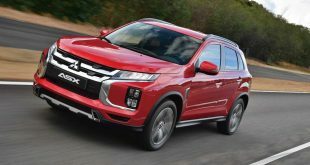 Changes to the exterior are minor but necessary to keep the aging ASX soldiering on after nearly five years on the market. 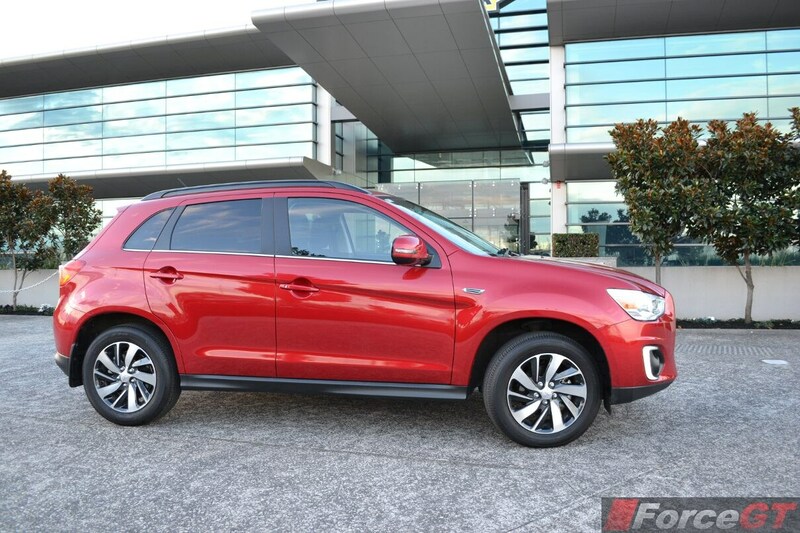 The range now gets LED Daytime Running Lights, new-designed 17-inch alloy wheels, black roof rails, Emergency Stop Signal (ESS), privacy glass, chrome exterior and interior highlights as standard. A new colour palette called Lightning Blue has also been added. Inside, things are vastly the same but keener eyes will note the gloss black centre panel with chrome highlights and black floor console garnish. 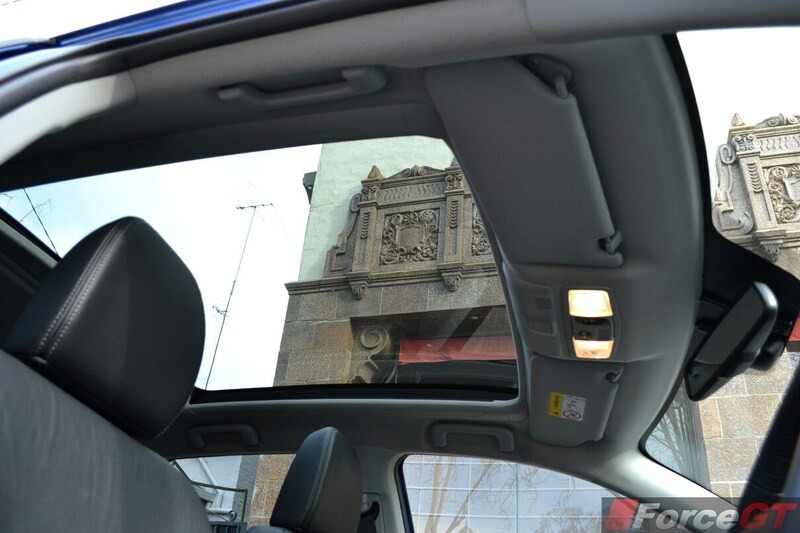 The updates help lift cabin ambient, but like the outside, the interior is starting to show its age. Fortunately, build quality and general fit and finish are still up there with the best. Like before, the 2.0-litre four-cylinder atmospheric petrol unit only powers the front wheels with 110kW and 197Nm. 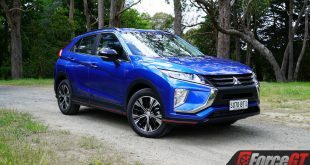 It can be paired with either a five-speed manual or CVT gearbox, the latter tweaked by Mitsubishi for better response from a standing start and at mid-range speeds. 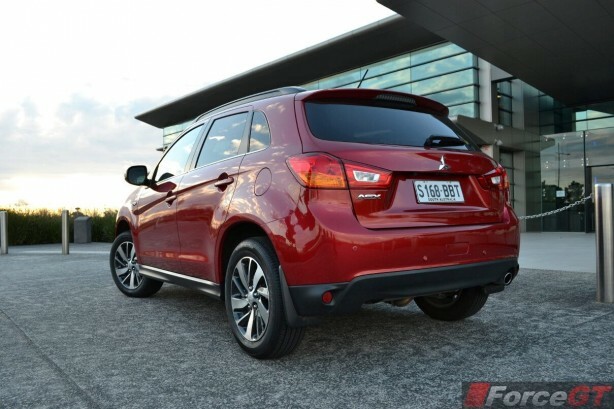 The CVT is also said to return around 4 per cent better fuel consumption, giving the CVT equipped models an official rating of 7.4L/100km. The 2.2-litre turbo-diesel is exclusive to all-paw variants. 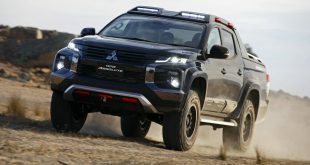 It sends 110kW and 360Nm to a 4WD drivetrain with three selectable modes – 2WD, 4WD Auto and 4WD Lock. 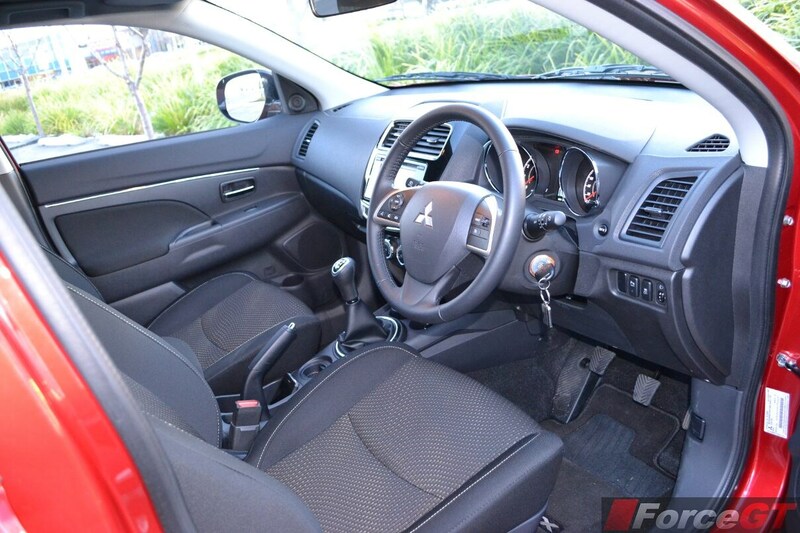 In 4WD Auto, which is the default mode, power is normally sent to the front wheels. When slip is detected an electronic coupling automatically shifts up to 50-percent of the power to the rear axle. Both powertrains offer decent performance for the daily urban commute, with the diesel also strong enough for some off-road excursion. However, the petrol unit can be noisy at the top end of the rev range. The five-speed manual is also one cog short of being built in the same era as its competitors. The lack of a sixth gear means at highway speeds the engine spins at a relatively high 2,700rpm. 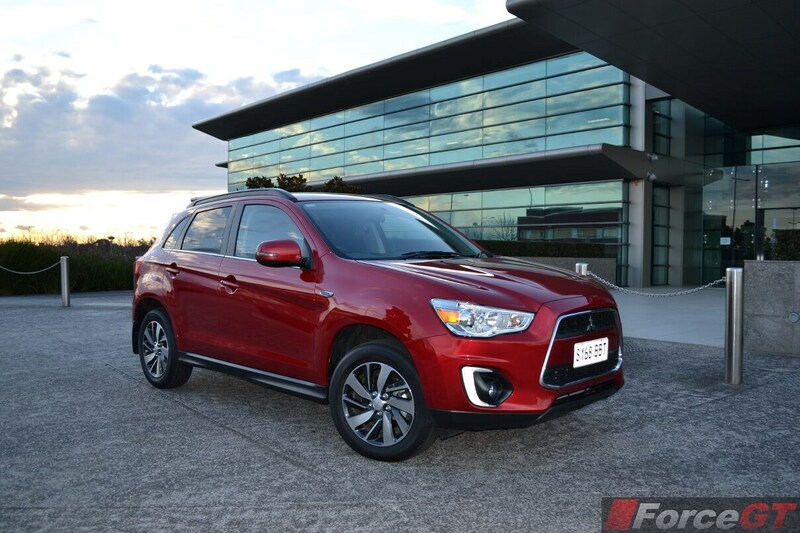 Mitsubishi has improved steering feel, handling stability and ride comfort in the new ASX, along with better NVH refinements. Cruising on the freeway, the cabin is now noticeably quieter with improved suppression for wind and road noise. 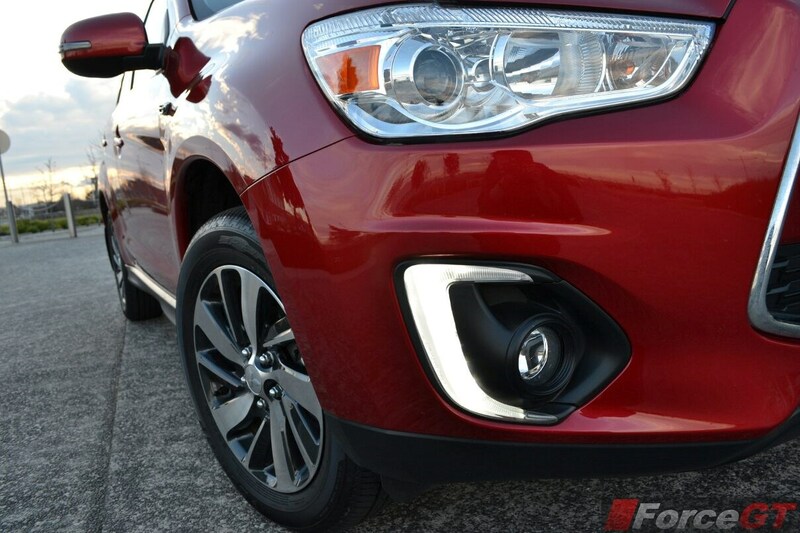 Around town the steering’s lightness makes parking manoeuvres a breeze, but it’s still lacking in feel around corners. It’s not until a serious amount of lateral force is dialed in before it starts to telegraph nuances of grip, which it does have in abundance from those Dunlop SP Sport rubber. 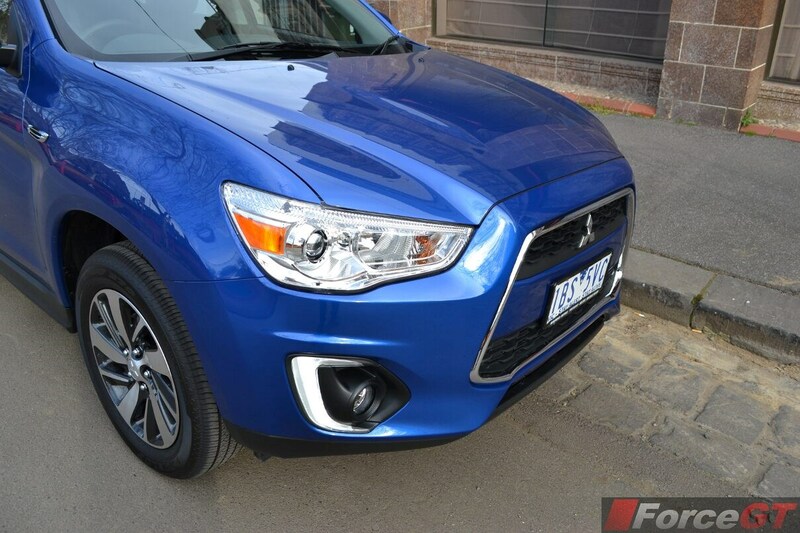 With the suspension tweaks the ASX now corners with more confidence than ever before. However, its high centre of gravity means it will still lean onto corners more than a normal car. 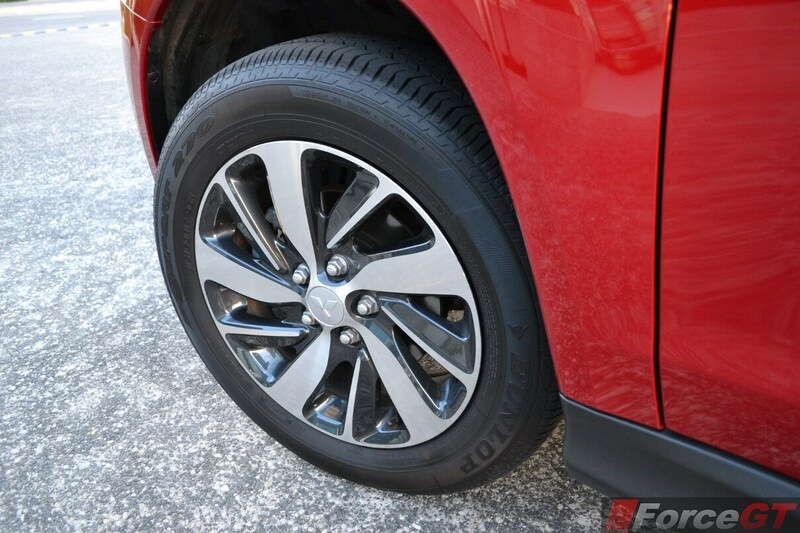 Ride quality is supple on the standard 17-inch wheels with most ruts and bumps ironed out remarkably well. 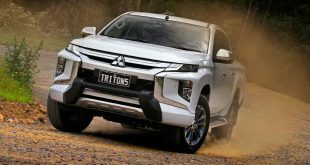 Despite Mitsubishi’s effort to wring out more kilometres from every drop of fuel the ASX sips, its claimed combined fuel consumption, especially for petrol automatic models, is starting to trail its rivals with newer drivetrains. 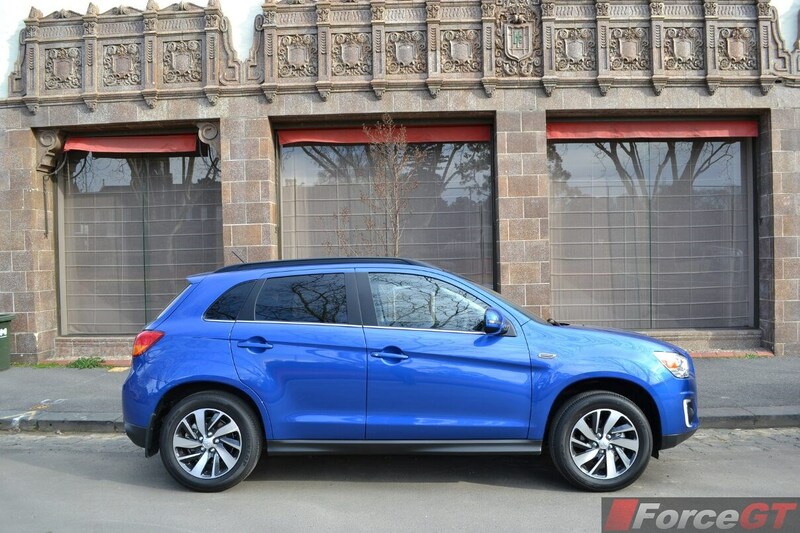 Over the week long test with mainly city driving, the ASX CVT averaged around 10.5L/100km. 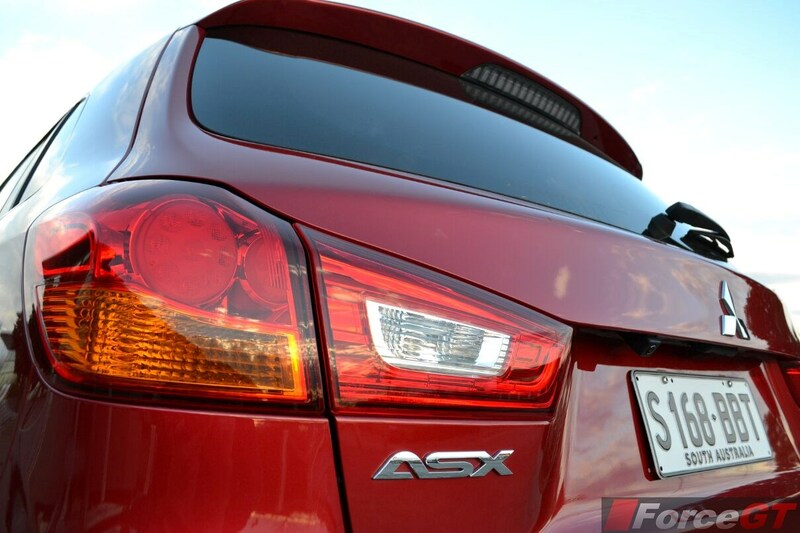 That being said the ASX undercuts many rivals by offering a host of standard features. 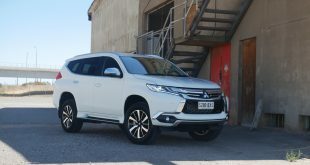 The goodies include a 6.1-inch colour multi information display with reverse camera, CD/MP3 player, Bluetooth connectivity, iPod integration, interior mood lighting, cruise control, reverse parking sensors and climate control. The Aspire models step up with full leather seats, keyless entry with push button start/stop, seat heater, moon roof, 7.0-inch display with navigation, automatic rain sending wipers and automatic dusk sensing headlamps. 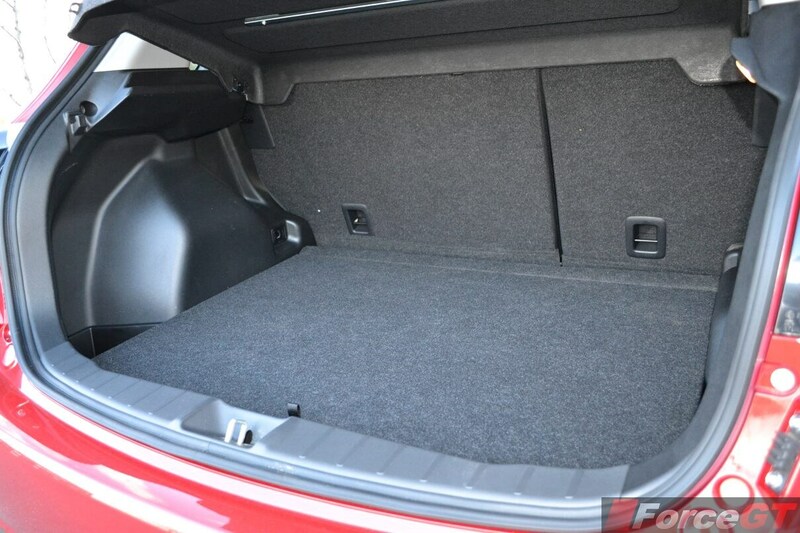 Considering the ASX’s short dimension, rear cargo space is slightly limited compared to its rivals, with just 416 litres. 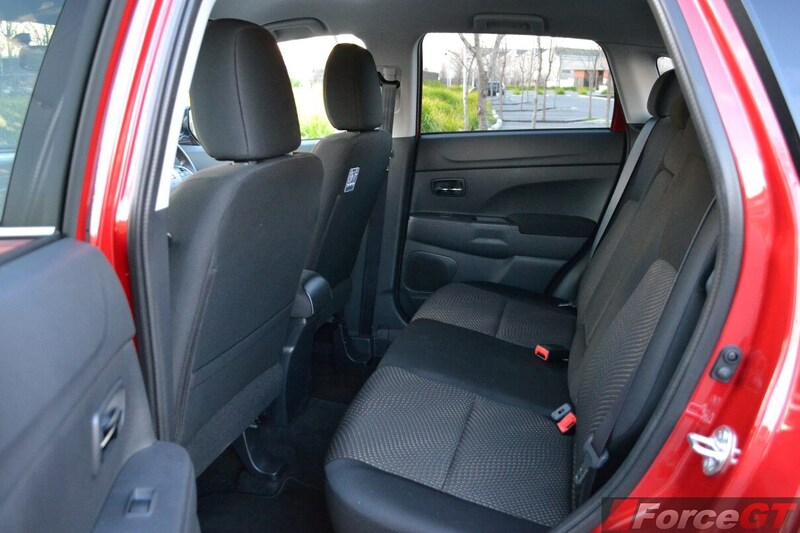 However, folding down the rear seats will increase cargo area to 1,109 litres. 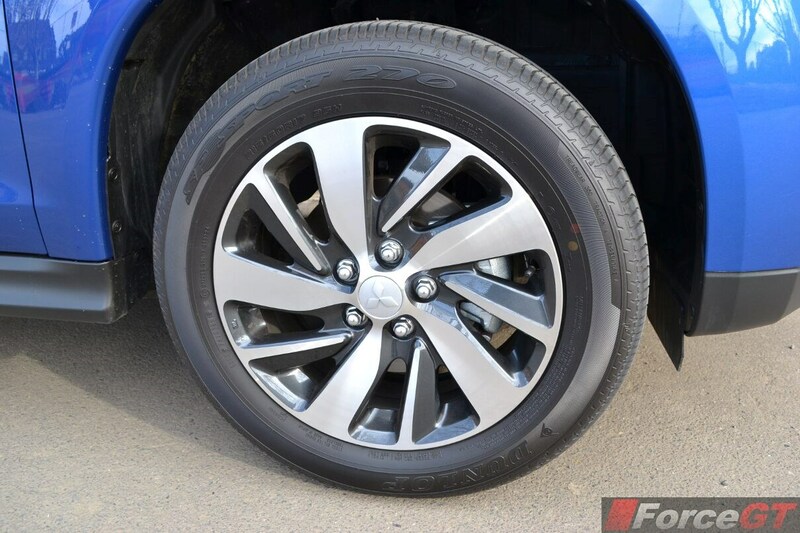 All versions come with seven airbags, stability control, traction control, brake assist, anti-lock brakes and the reassurance of five-star ANCAP rating. 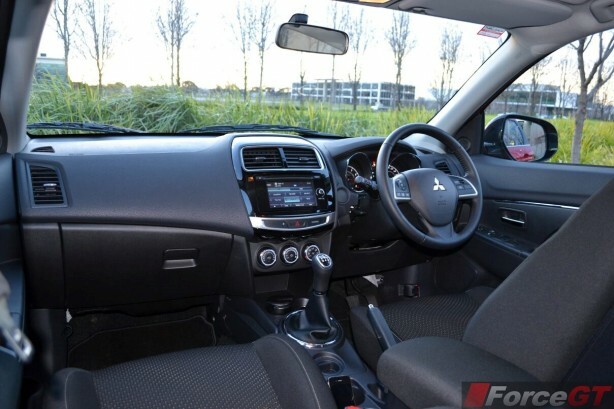 The improved 2015 Mitsubishi ASX remains a viable choice for those looking for a family friendly compact SUV with a solid cabin, generous features, flawless reliability and good all-round performance. However, it is starting to show its age and in need of a fresher design and newer drivetrain.